Claire Van Vliet’s innovative book designs, such as the one for <em>Aunt Sally’s Lament</em>, pictured here, have earned her the 2017 Frederic W. Goudy Award, presented by RIT’s Cary Graphic Arts Collection and School of Media Sciences. Claire Van Vliet, a renowned typographer, printmaker and fine artist who has published more than 100 artists’ books and hundreds of additional works of art, is the recipient of the 2017 Frederic W. Goudy Award, given to an outstanding practitioner in type design and its related fields. The award, presented by Rochester Institute of Technology’s Cary Graphic Arts Collection and School of Media Sciences, is dedicated to the continued progress of the printing field in the spirit of the great printers of the past. The 30th presentation of the award and the Goudy Distinguished Lecture in Typography takes place at 6 p.m. Thursday, Nov. 2, in Golisano Hall auditorium on the first floor of the B. Thomas Golisano College of Computing and Information Sciences. The event is free and open to the public with a reception to follow. Van Vliet will have some of the Janus Press books for attendees to look at. Van Vliet’s lecture, “Janus Press: A Survey 1955 to the Present,” will be an illustrated overview of the history of the press, choosing six books from each of the six decades and looking at what is happening now in the seventh decade. 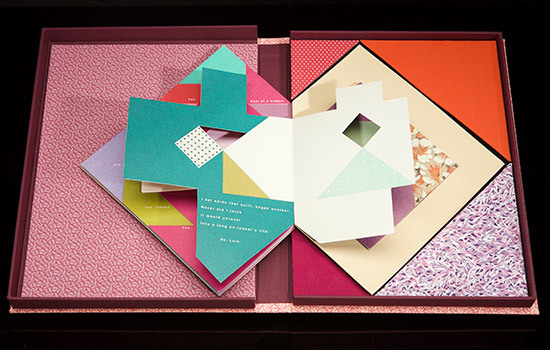 Van Vliet’s Janus Press engages with both traditional and experimental aspects of book design. Her innovative approach to book production earned her a MacArthur Foundation Prize Fellowship, and honorary Doctorates of Fine Arts by the University of the Arts in Philadelphia and San Diego State University. Her work has been exhibited in institutions such as the Grolier Club in New York, the Library of The National Gallery of Art in Washington, D.C., and the San Francisco Center for the Book. The Frederic W. Goudy Award and Lecture was established by the Mary Flagler Cary Charitable Trust to honor distinguished figures in typography and its related fields. The award was founded in recognition of the friendship between Melbert B. Cary Jr. and American type designer Frederic Goudy.